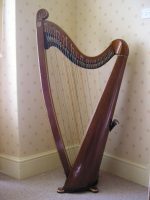 Preseli harp 40 yrs old and made by Allan Thomas. 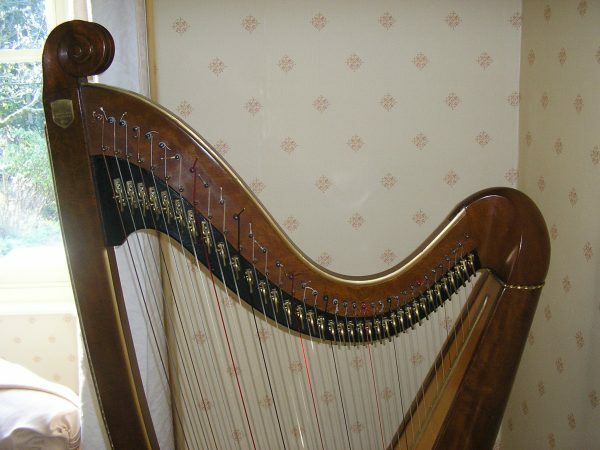 It has 36 strings and comes with a dust cover and tuning key with leather holster. It is in very good condition with a wonderful mellow sound and was recently given a full service at Teifi Harps.